After you sign in to MasteryConnect, click Trackers. You can also click the arrow next to your name in the top right, and select Help or Settings. Extra bubble sheets can be found under any of these options. Click the Print Bubble Sheets button. 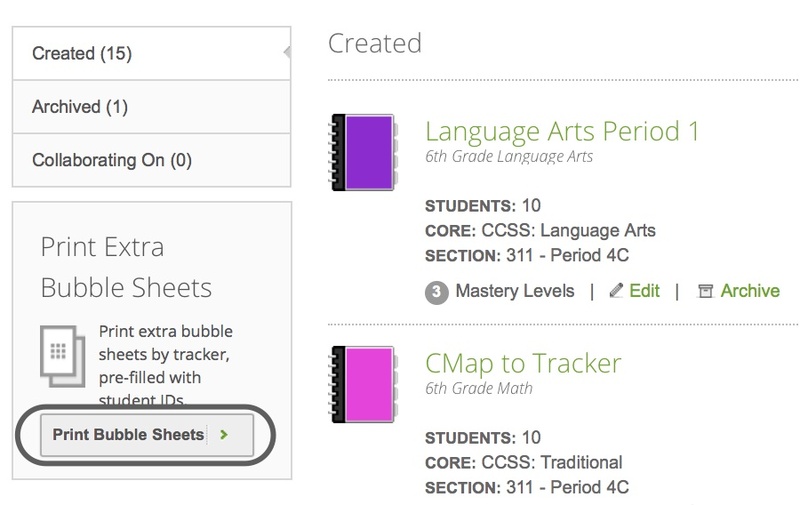 On the Print Extra Bubble Sheets dialog box, you can choose whether to use blank student IDs, or whether to include student ID numbers from selected trackers. To leave the student ID numbers blank, select the Use Blank Student IDs check box, and select the number of digits in your IDs from the Length of Student IDs drop-down list. To pre-populate the bubble sheets with student ID numbers from your trackers, select Include Student IDs from Selected Trackers and then select the trackers from which you want to include IDs. 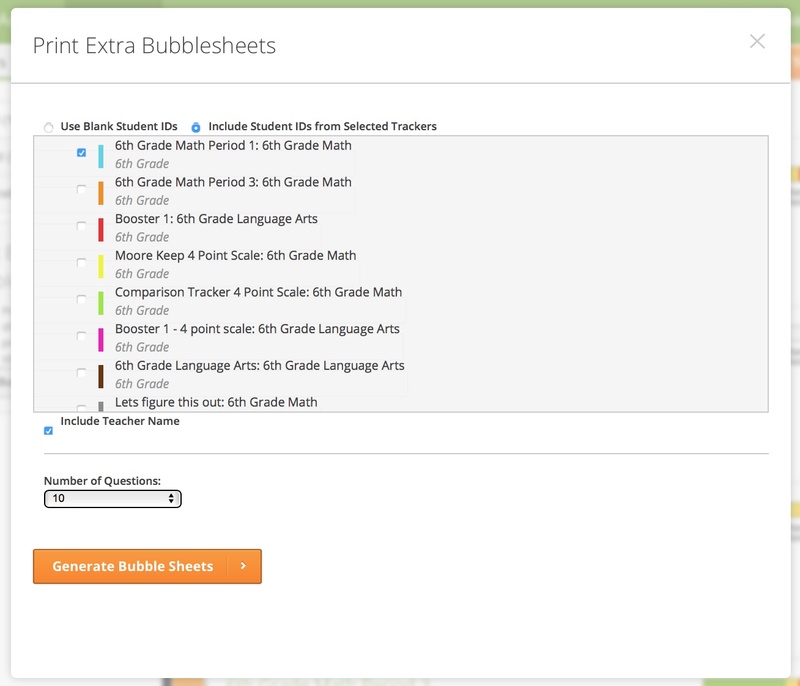 You can also add your name to the bubble sheets by selecting the Include Teacher Name check box. 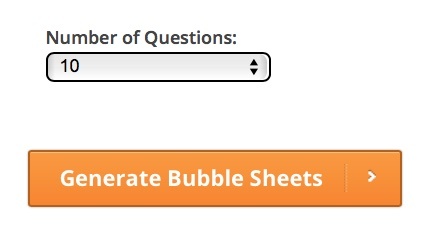 From the Number of Questions drop-down list, select the number of questions that you want on your bubble sheet, and then click Generate Bubble Sheets. Click Download Bubble Sheets to view them prior to printing or to save them to your computer. Or, click Print Bubble Sheets to send them directly to your printer. 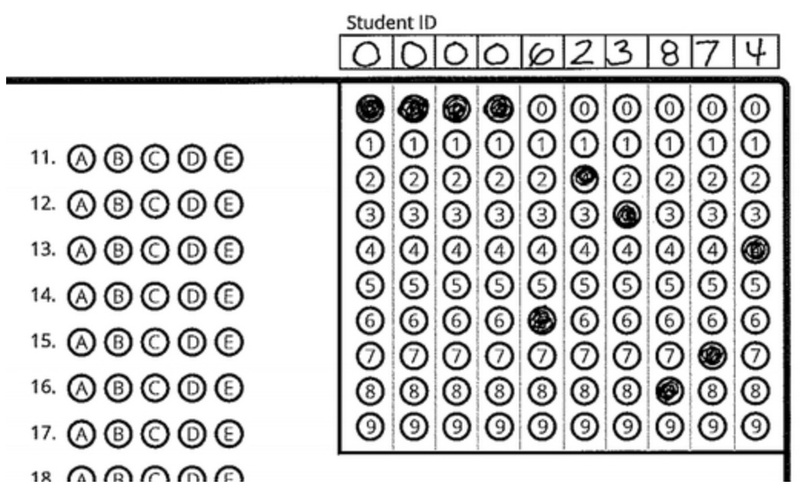 Note: When printing blank bubble sheets, if the length of the student IDs on the bubble sheet is greater than the actual length of the student ID, you must add zeroes to all empty boxes in front of the ID (see example below).